Ali Tajernia, a reformist politician and former member of Iran's Parliament, told the Center for Human Rights in Iran (CHRI) that his last-minute disqualification from the Tehran City Council election, following pressure by "military organizations," is "illegal" and he will file a formal complaint. "I and Mr. (Abdollah) Momeni were approved by the monitoring committees at the city and provincial level and we received a written document on April 22, (2017) from the Tehran governor's office to that effect, as well as a text message. At that point, the list of approved candidates had been announced and those who had been disqualified could lodge an appeal," said Ali Tajernia. "But in an illegal act, one of the military organizations wrote a letter declaring that those who were involved in incidents in 2009 should not be approved and their qualification for the election should be reevaluated," he added. "Initially, the central monitoring committee refused to take the letter into consideration because it was illegal interference." "Then the military organization backed off from its original list of candidates it wanted disqualified, but insisted on five or six names," he said, "Even the prosecutor's office got involved and objected to candidates it had already cleared through the initial vetting process." Former prominent student activist and reformist politician Abdollah Momeni, whose initially approved candidacy for the Tehran City Council was widely welcomed by many Iranians on social media, also condemned his disqualification. CHRI has confirmed that Momeni was disqualified following pressure by the Revolutionary Guards' Intelligence Organization. Momeni protested by posting an image online of a document showing he was initially approved to run and called on President Hassan Rouhani to investigate his dismissal as a "blatant violation of the law." "My disqualification is not only illegal, but also unethical," Tajernia told CHRI. "It is a violation of the most basic rights of a citizen. There are no more avenues for me to appeal the decision, but after the elections I will file a complaint in the relevant court against the Interior Ministry and the central monitoring committee for their illegal action." Iran will be holding its presidential and local councils elections on May 19, 2017. On May 10, prominent reformist politicians-who were previously imprisoned for supporting the widespread, peaceful protests against the disputed result of the 2009 election-were eliminated at the last minute from the Tehran City Council election despite being initially approved. 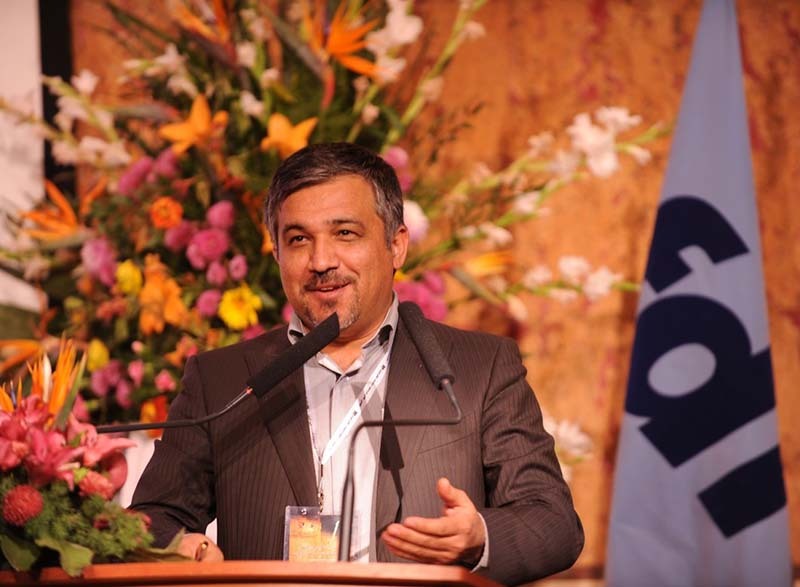 Tajernia, a member of the Islamic Iran Unity Party's central council and an MP from 2000-04, was arrested in June 2009 and sentenced to five years in prison and 74 lashes for peacefully protesting that year's election result. He was conditionally released in January 2011. "The law says that the central monitoring committee for the council elections cannot disqualify candidates after they are approved by the sub-committees," he told CHRI. "The central committee is only supposed to investigate complaints from disqualified candidates." Hours before another list of approved candidates was announced on May 10, the head of the prosecutor's office in Tehran, Gholamhossein Esmaili, said he opposed some of the candidates. "We were informed that some candidates had been approved despite having prior convictions, including those who had received heavy sentences for security crimes," he said. "This would damage the integrity of the councils." Tajernia told CHRI that politicians with a prior conviction could not be banned from participating in elections without a court order. "We have different levels of conviction and punishments. One of them is to be denied from civic activities on a judge's direct order," he said. "But we (the disqualified candidates) did not have that problem and when the judiciary responded to information about our criminal record, we were given clearance." He continued: "I used to be a member of the central monitoring committee during the first and second round of elections for local councils (1998 and 2002). Back then, the security forces exerted a lot more pressure when it came to the approval of moderate religious candidates. But we stood our ground and said that no one would be disqualified without a judge's order banning participation in civic activities." "I don't know why our friends did not do the same this time," he added. "If these members of the central monitoring committee wanted to run for Parliament today, all of them would have been disqualified and yet they acted illegally and failed to resist pressure to disqualify us." According to Article 17 of the Charter on Citizens' Rights, published in December 2016 by Rouhani: "Decisions, measures or statements of governmental officials, administrative and supervisory authorities of elections, military, police, and security officials, prior to election, in the course of considering the qualifications of election candidates, and after elections shall be completely transparent, unbiased and in compliance with the law, in such a manner that even the suspicion of electoral fraud or violation, or support for certain candidate(s) cannot arise."